Our goal is to collect and analyze data, to understand the customer’s expectations, needs and their tasks. At the end of this phase, we create a UX strategy roadmap, which helps us make informed decisions and guides the design and development phase. We employ an agile testing process that identifies user requirements and any gaps upfront through customer involvement allowing you to get the user interface right before you build. Through our UX Group, we leverage various tools, applications, and partners to validate directly with your customers. In the design and development phase, we work with customers and business stakeholders to create interactive and creative models. This phase identifies the frustration points and visualizes the outcome of the design solution allowing us to explore and design for users’ tasks’ needs and wants. Tremendous savings are realized when you map out the user experience before you begin building. Estimates will be 50% more accurate. 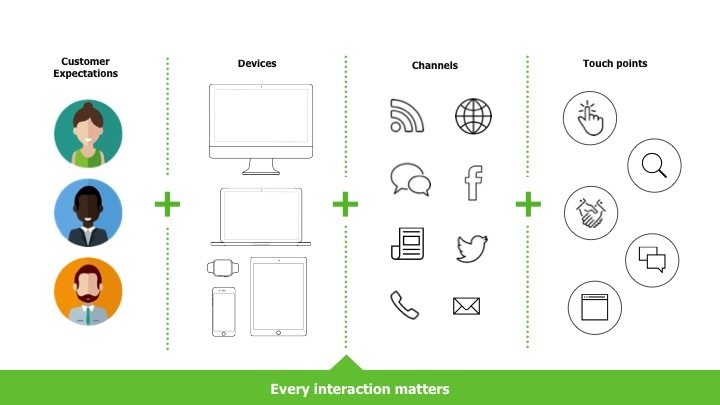 Understanding the digital experience across the digital ecosystem. Customers are likely exposed to multiple messages before actively deciding to select a product and become a customer. An enhanced model measures the contribution that each channel has on driving a conversion. Let us get you started with the right digital solution!